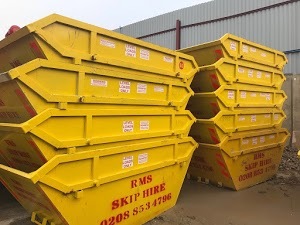 With affordable prices and professional knowledge, RMS Skip Hire is a highly sought after Skip Hire company in Blackheath. We take pride in offering the most trusted skip hire and waste management solutions to both businesses and individuals. Our team examines your skips hire, and waste management needs to offer the solutions that meet your requirements in the best way possible. We take each query seriously and provide the best advice to every client looking forward to hiring quality skips for residential, commercial, and industrial waste removal project. We provide a flawless skip hire experience to each client in Blackheath. Our team works very hard to make it easier for individuals and businesses to get rid of the waste that generates from their homes, offices, shops, and construction sites. You can take advantage of our online booking system to save your time. However, if you have any doubt, you can speak straight away to our skip hire and waste management experts. Our team will answer your every question to eliminate your confusions. Whether you have doubts about skip hire prices or you are looking for more information on the quality of services, we are here to solve your problems. Our team will deliver the skips to your site and will pick them up from there according to your requirements. Whether you want the skips in the morning, afternoon, or evening, we will deliver. We not only strive to offer the highest quality skip hire and waste management solutions but also give equal importance to customer service. We firmly believe that happy clients are our greatest wealth, so we never hesitate to go an extra mile to exceed their expectations.